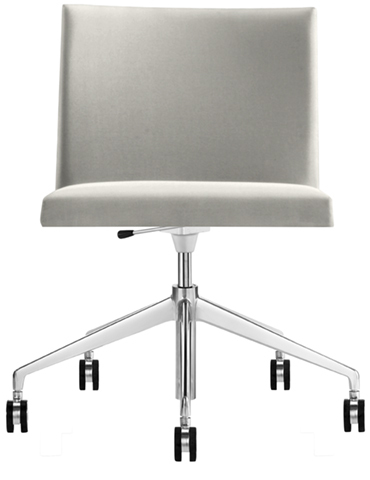 Chair with 5 way swivel base in polished aluminum, mounted on self-braking castors and fitted with gas height adjustment mechanism (art. 0405). The polyethylene shell is upholstered in leather, faux leather, fabric or customer’s fabric. Seat height: 43/53 cm. Dimensions: 65,5 x 65 x 74/84 cm.